Offshore Oil and Gas digitalisation software provider and systems integrator, Eigen, has built an app that provides access to real time information for Oil and Gas platform managers and operatives, using wearable devices. 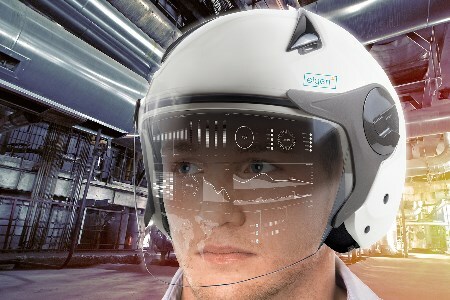 Working in partnership with Lundin Norway, Eigen has deployed technology to enable the Digital Worker to gain immediate access to critical data, using an app or by wearing a headset with a visor interface. This provides offshore workers with easy and fast access to operational information in one place. The new wearable and app technology is built on Eigen’s ‘Ingenuity’ platform - a smart layer that provides contextual linking on top of existing systems. This new digital capability increases operational efficiency by eliminating time spent understanding status and allows engineers to focus on important tasks. Commenting from Eigen, Murray Callander, CEO, said, “This new technology solution enables Digital Working offshore, making critical information available in real-time to those who need to use it. The technology is a prime example of our approach of rapid evolution of operational capability enabled with Industry 4.0 technologies. The implementation will be trialled shortly on the Norwegian Continental Shelf. The configuration of Ingenuity was developed to run on Android based wearables (within just three weeks) and will be available on the App Store imminently. It will be used to engage with field-users and use direct feedback, evolving even more valuable refinements. The technology will go into full production from June.